8:05 p.m. EST. 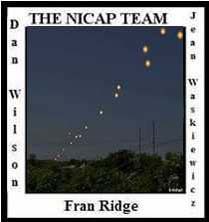 Roger Bost and his sister sighted two very bright orange objects. They were flat on top and bottom and darker around the middle like two pie pans rim to rim, and sharply outlined. The objects were flying on a straight path to the north. The objects were seen for approximately 45 seconds.